As a Los Angeles-based traveler, I enjoy a gigantic variety of airlines to fly. Since I had already been to Japan with my fiancee, I wanted to return the favor for my parents. This time, I flew with my dad to Japan in November of 2018 for a 10-day excursion in one of my favorite countries in the whole world. As it turns out, Japan Airlines is one of the hardest airlines to book far in advance and one of the easiest airlines for booking close-in awards. I like the certainty of a confirmed flight, but I was extremely lucky to find a nonstop business class flight on Japan Airlines Flight 61 from Los Angeles (LAX) to Tokyo-Narita (NRT) on the departure date I wanted. 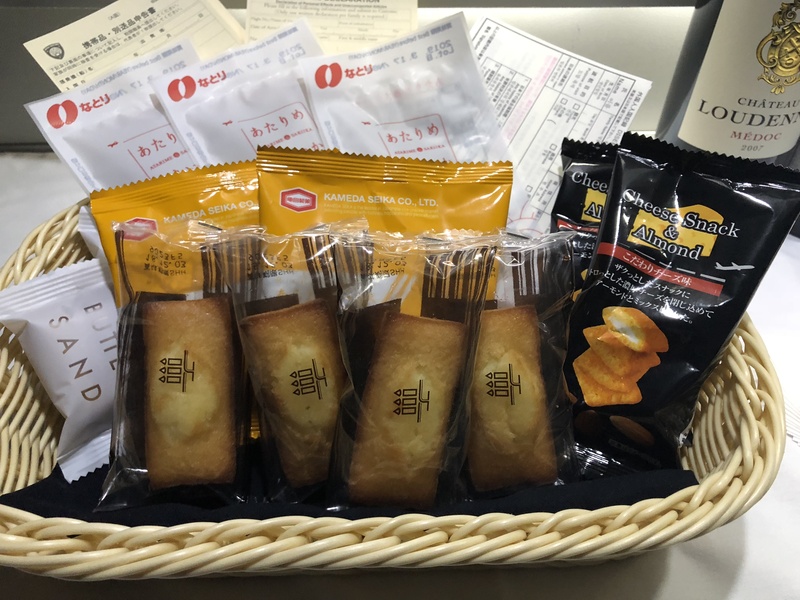 This one welcome bonus was more than enough for a one-way flight on JAL Business Class and in my opinion is one of the best ways to redeem AA miles. ExpertFlyer doesn’t offer flight alerts for Japan Airlines, so I used British Airways to search for award availability twice per day: once when I woke up and once before I went to sleep. As soon as I saw award availability, I gave American Airlines a call at 1-800-882-8880, fed the agents my flight information, paid 60,000 AA miles and $45 per person in taxes, and wrote down the Japan Airlines record locator. I needed the record locator to pre-select a seat. I wanted a pair of seats in the mini-cabin of row 5 (which is blocked until right before departure), but I selected a back-up seat just in case. 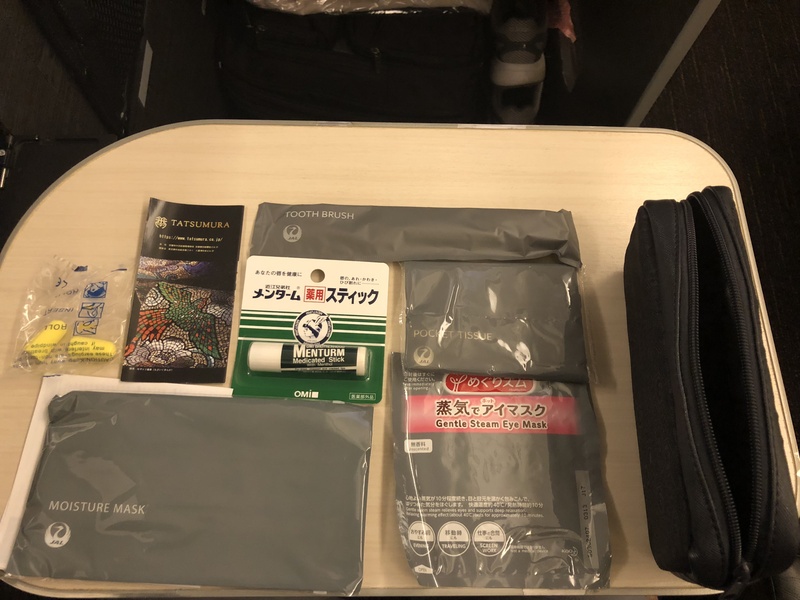 Hot Tip: There are tons of ways to book Japan Airlines business class, and I loved using my AA miles because of the ability to hold awards for 5 days and their America to Japan sweet spot. When I got to the airport, I asked the agent at the check-in counter if it was possible to put my dad and me in row 5, and she kindly obliged my request. My dad and I received new seat assignments in 5E and 5G, respectively. Off to the lounge we went! I’d much rather relax in the Oneworld business class lounge than sit at my gate until my flight! Image courtesy of Stephen Au. 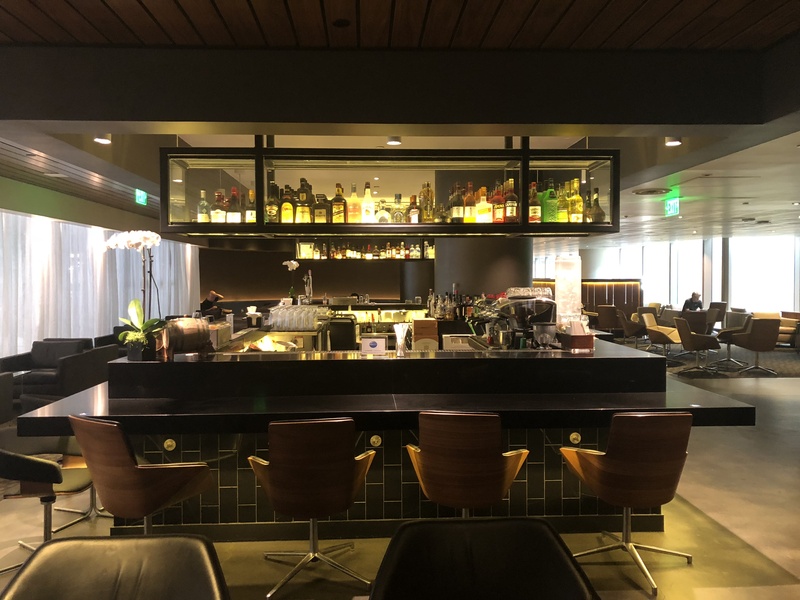 Japan Airlines uses the Oneworld Business Class Lounge at LAX, and it’s a solid choice for business class flyers here. 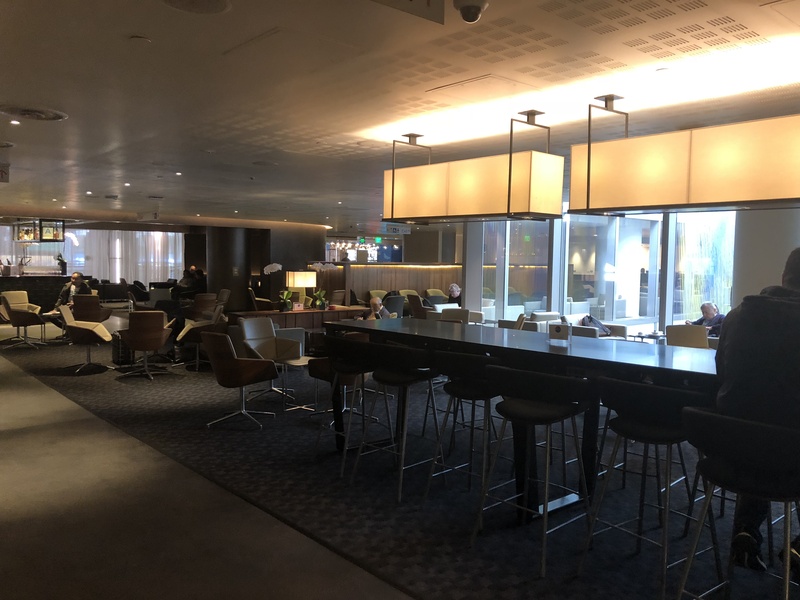 I personally like the Star Alliance Business Class Lounge at LAX better, as I think it’s one of the best business class lounges in the world — but the Oneworld Business Class Lounge was perfect to freshen up before our flight. There were plenty of seating areas in this lounge, as it was quite huge. This is to be expected, since Oneworld partners such as British Airways, Cathay Pacific, and Qantas all share this lounge. 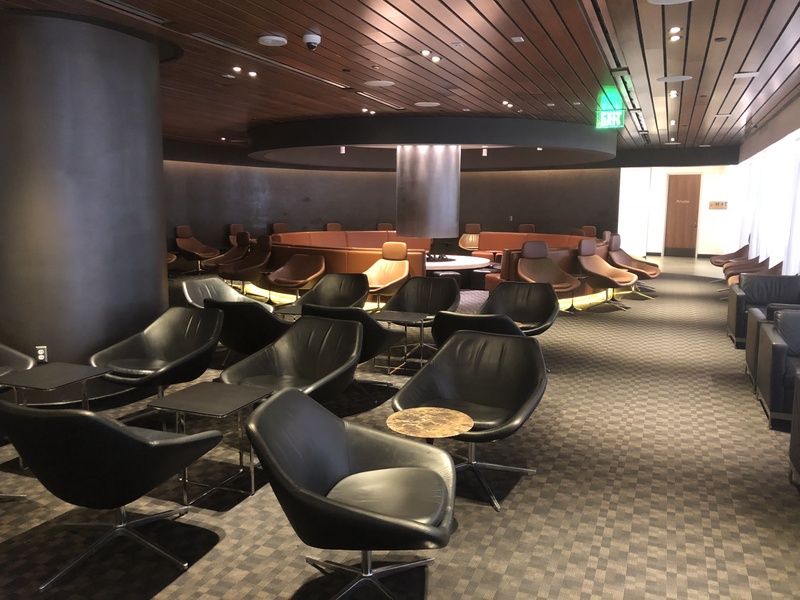 Tons of seating at the Oneworld Business Class Lounge is to be expected in a huge hub like LAX. There are different types of seating in the Oneworld Business Class Lounge. I first visited the bar, where there’s a bunch of self-serve alcohol displayed. 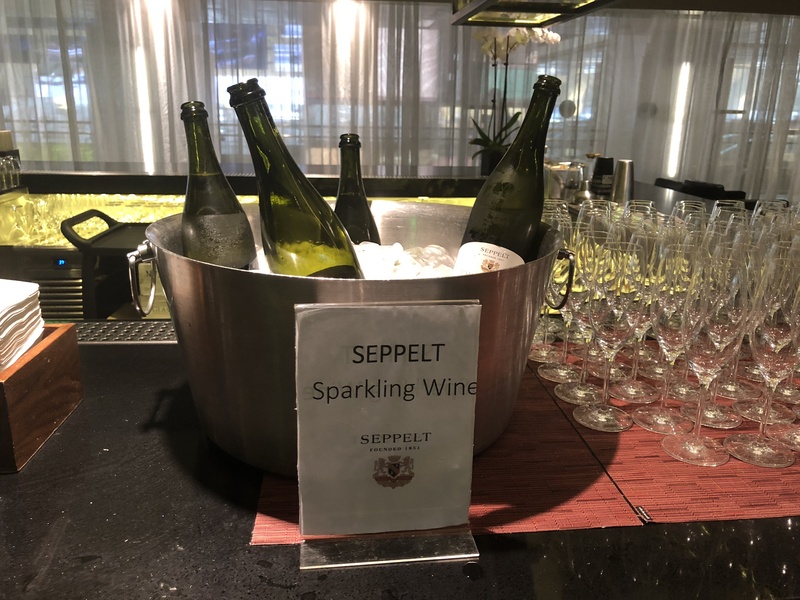 Seppelt Sparkling Wine was available and displayed in an ice bucket. You could also sample various other wines. 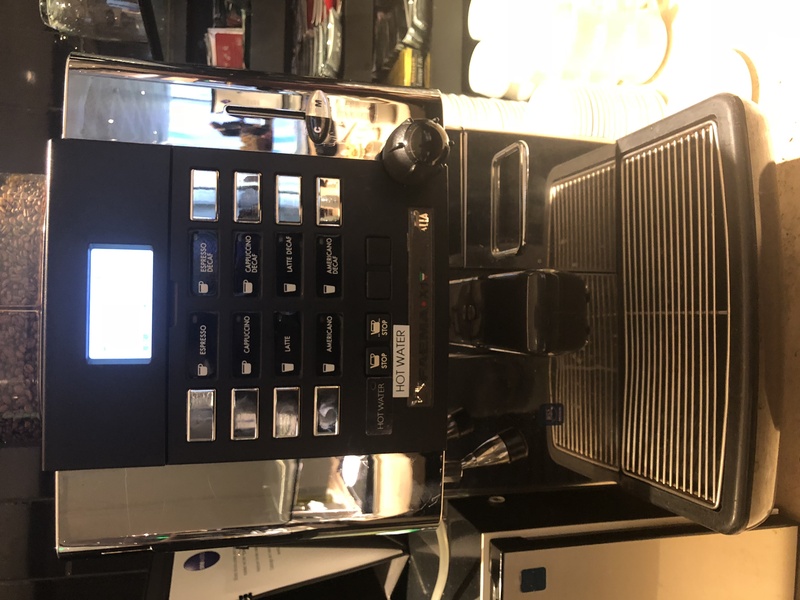 A unique feature of the Oneworld Business Class Lounge is that there are baristas ready to make you whatever espresso drink you’d like! I requested a mocha, which was delicious. 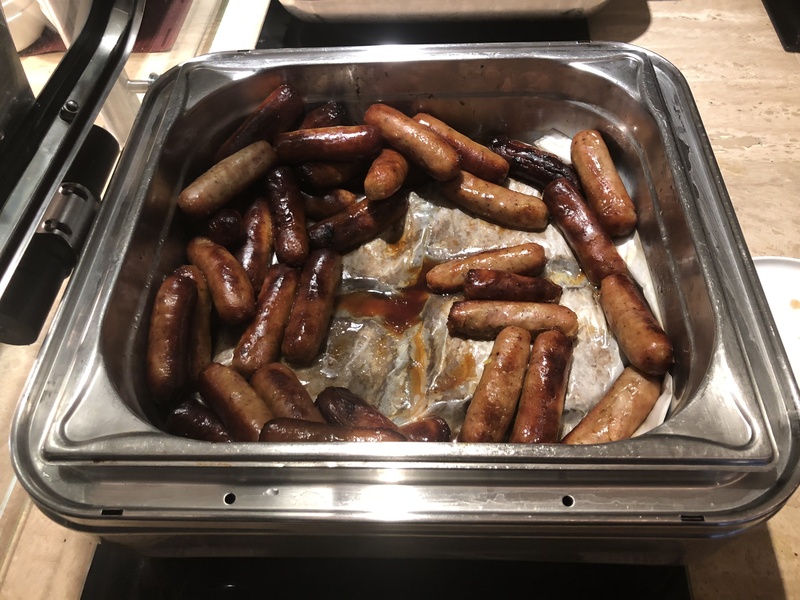 Then, I moved onto the main food area, which had some hot breakfast items like scrambled eggs, sausage links, and hash browns. 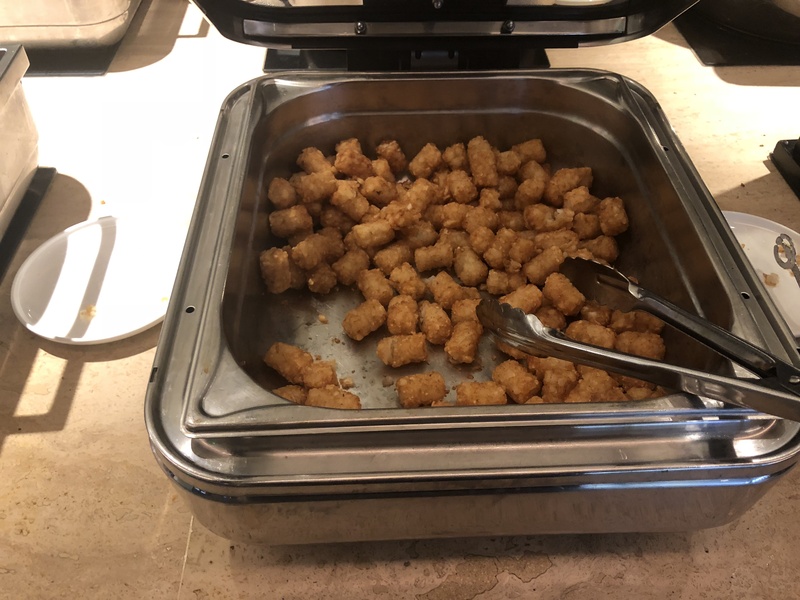 The hashbrowns were typical: crunchy and potato-y. There was also a pancake machine, which was neat! It’s very similar to the one at the Alaska Airlines Lounge at LAX. 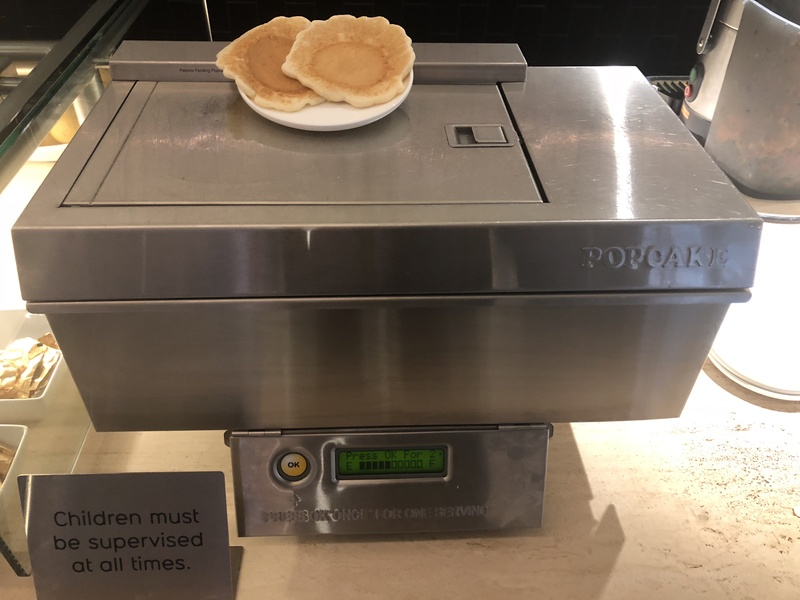 Just press the button, put your plate underneath the right-hand side of the machine, and wait for 2 pancakes to pop out! Also, the bread section had a few choices and a toaster. Moving onto the beverages, you could choose between various soft drinks/sodas, a coffee machine, and different teas. 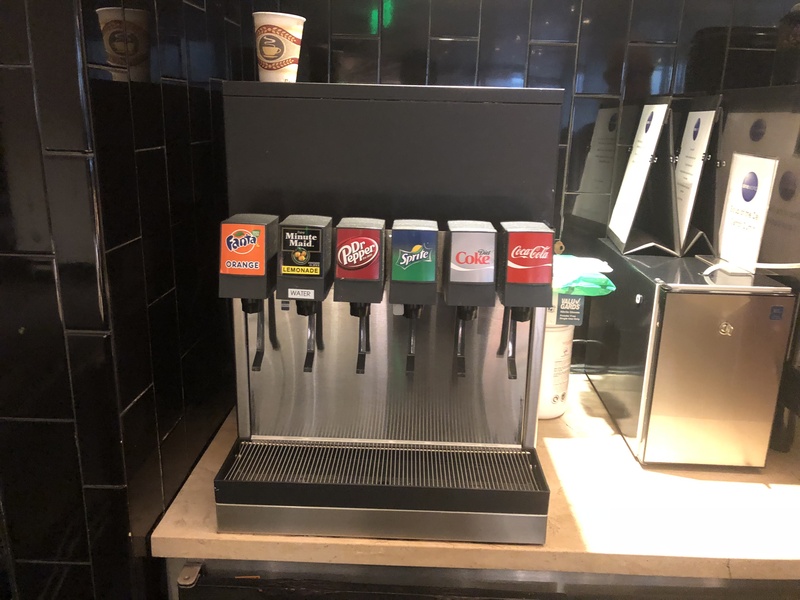 The soda fountain at the Oneworld Business Class Lounge is great for those craving a cup of pop. 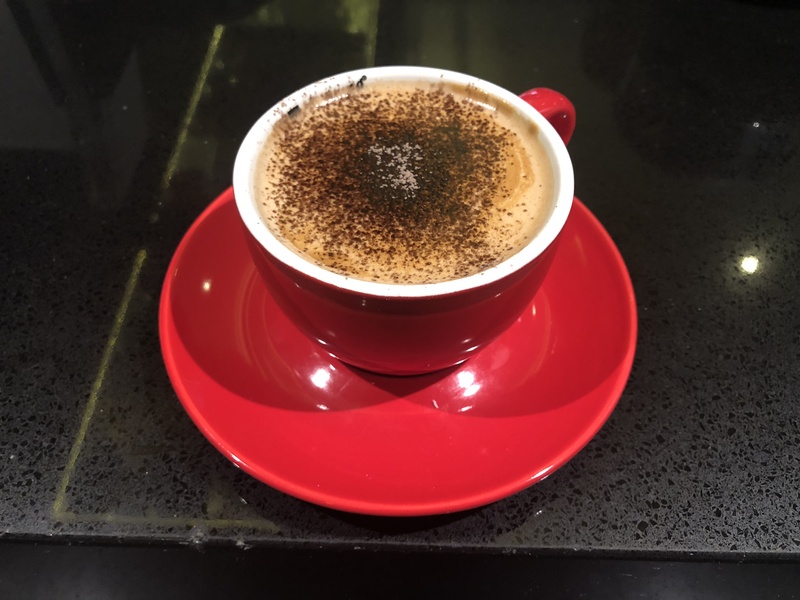 The automated espresso machine is great, but why use that when you can ask the baristas to make an artisanal drink for you? 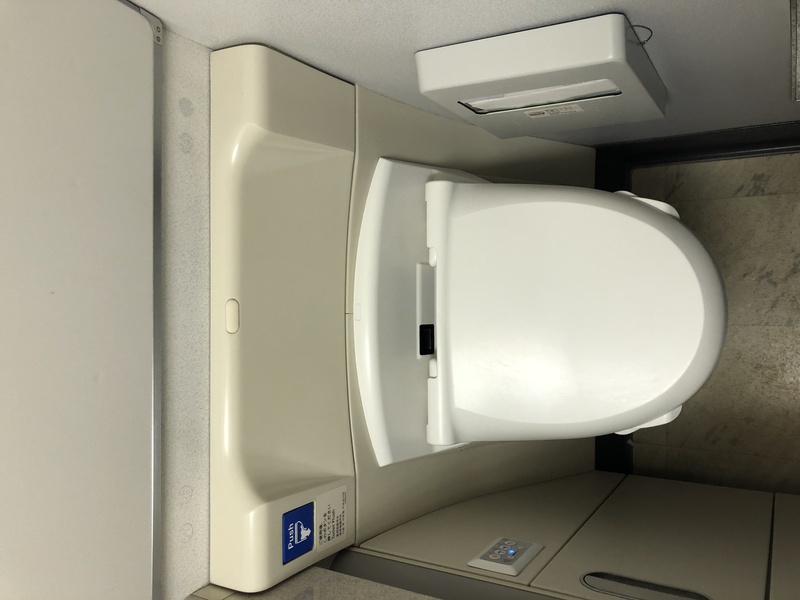 After grabbing a bite to eat (but not too much because of the amazing food on Japan Airlines), I went to take a quick shower before heading to our plane. 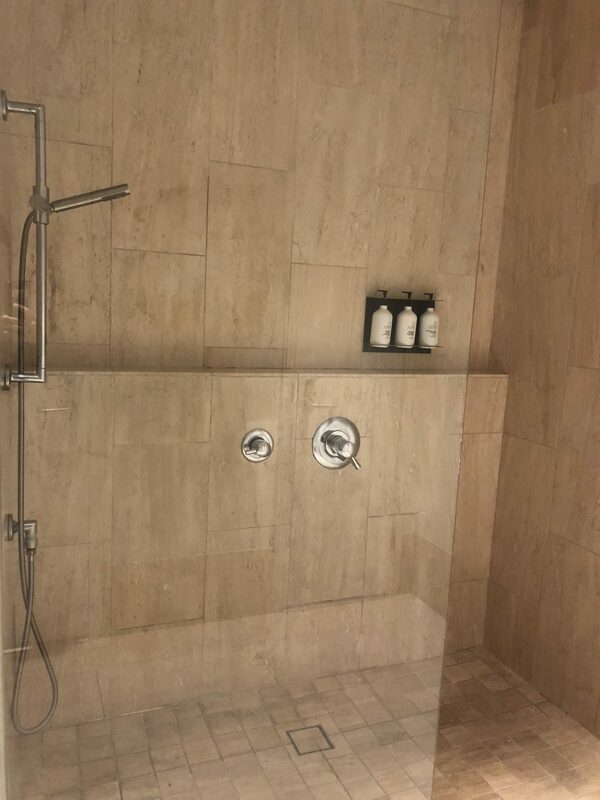 The shower stall, which includes a bathroom, is designed very well. The shower has glass panes protecting against splashes. It’s also very spacious! The shower stall contains a toilet and sink, so you don’t need to visit a separate facility. 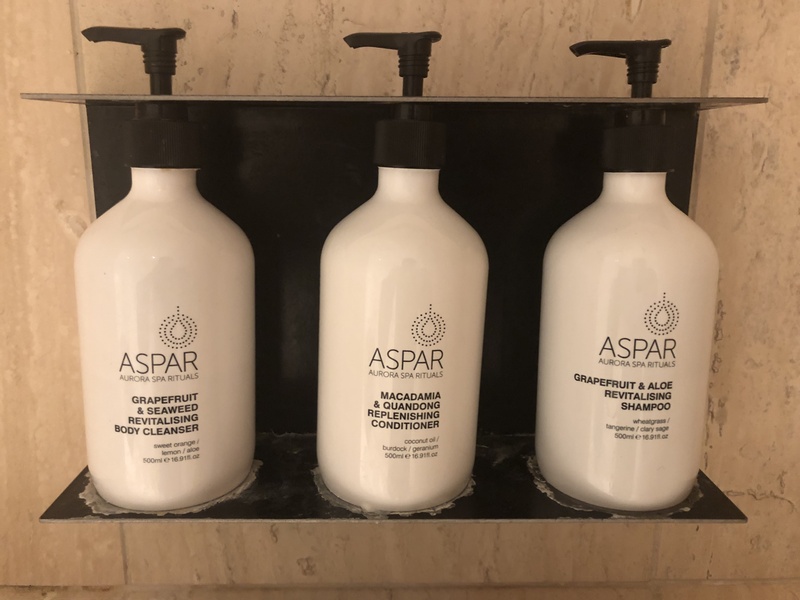 What’s pretty cool is that this lounge features ASPAR amenities, which are quite luxurious. It’s a nice touch to top off your shower! 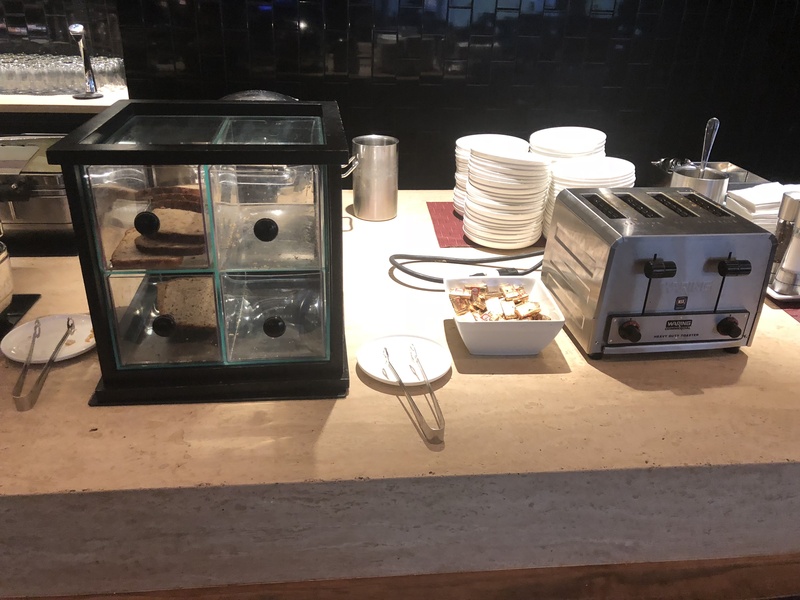 The ASPAR amenities were spot-on at the Oneworld Business Class Lounge LAX. 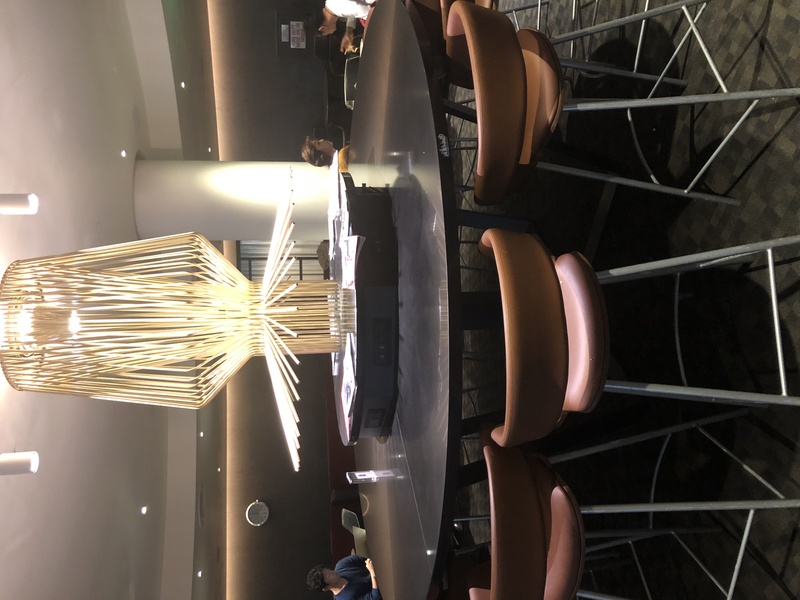 This circular table looks quite grand, and I’m glad I noticed it on my way out of the lounge. 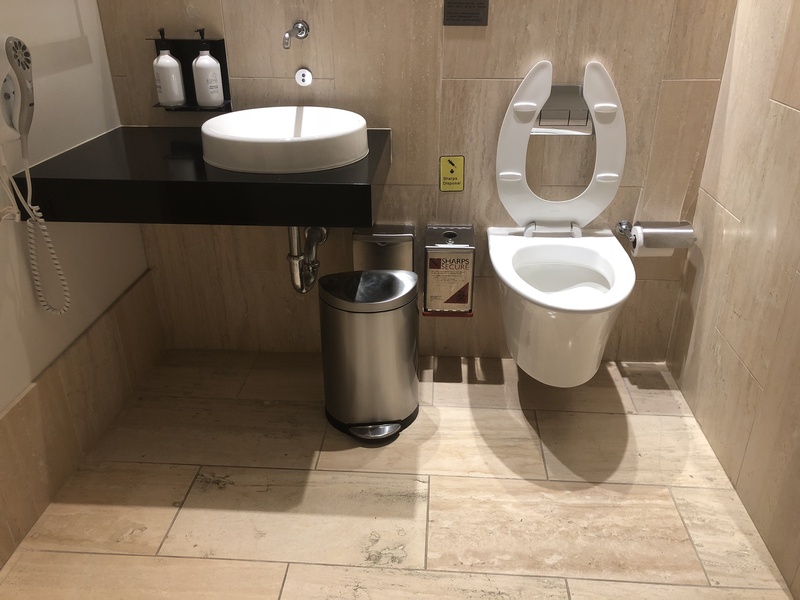 Overall, I am glad I was able to sample the Oneworld Business Class lounge. Is it unique? No, not really. 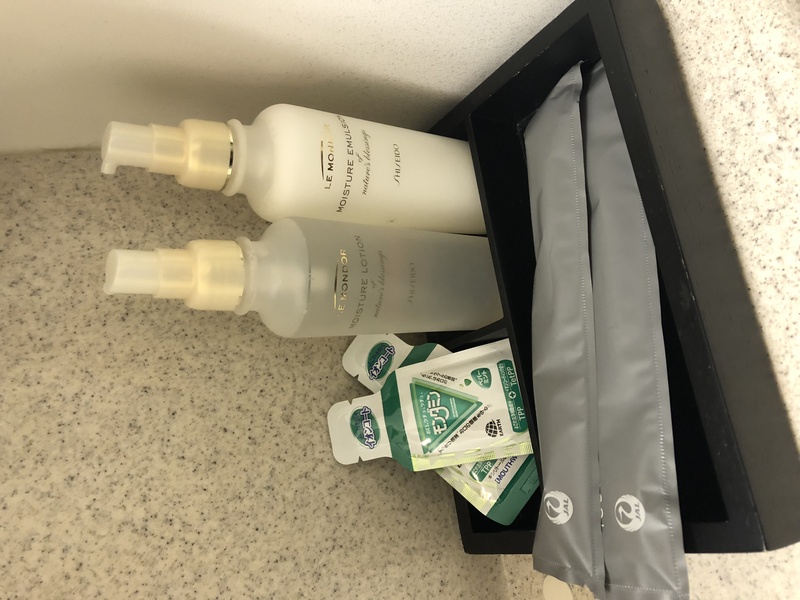 But it does the basics well: clean shower stalls with amenities that don’t dry out your skin, food that can hold you over until your flight, excellent caffeinated beverages, tons of space to sprawl out, and decently fast Wi-Fi. I was able to get quite a bit of work done in this lounge, and I’m grateful for that. When it was almost boarding time, my dad and I got up to head to our gate. Boarding was organized as usual, though I was quite surprised that there were so many Japan Airlines elite members not flying premium cabins. I was a bit surprised that they were allowed to board at the same time as us despite only flying economy, but that was just a minor hiccup. Boarding was prompt, and we were directed to our seats in row 5. 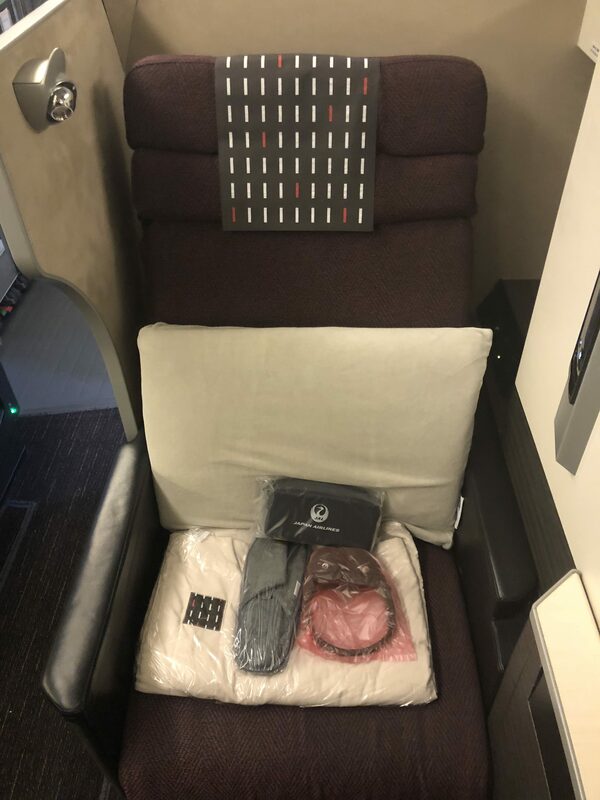 Japan Airlines’ 777 business class is unique because there are clearly better seats than others. Row 5 is one of the most coveted, because it’s completely isolated from the rest of the cabin. 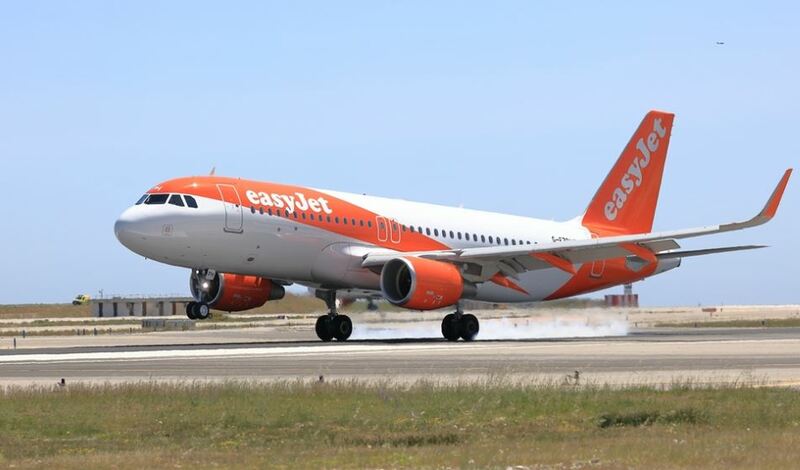 There is very little foot traffic here, so you won’t be bothered as often when you’re immersed in business class. 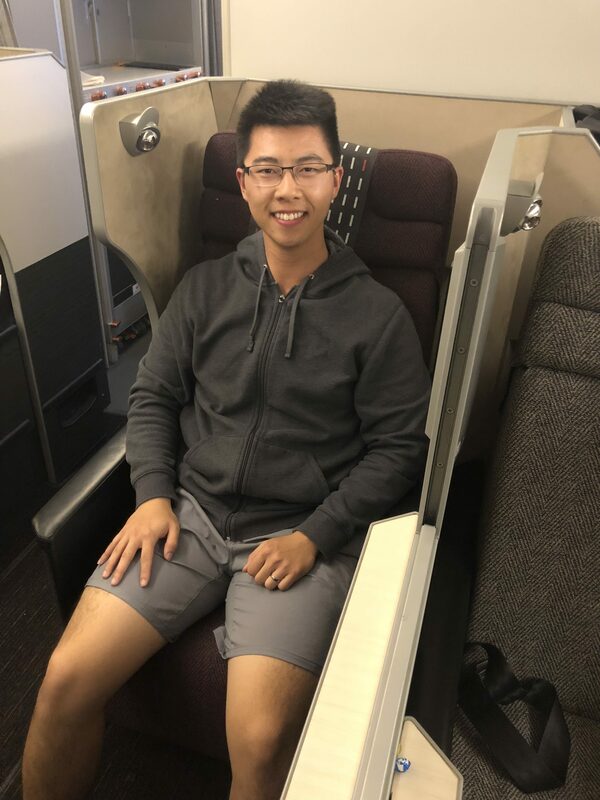 Look at how happy I was to be sitting in Japan Airlines business class! The Boeing 777-300ER features 49 business class “Sky Suites,” which are Apex Suites. These are among the most private in all of aviation. Even though Japan Airlines business class on the 777-300ER features a 2-3-2 cabin configuration, the suites were incredibly private thanks to excellent engineering. Direct aisle access for the 2-3-2 configuration is made possible thanks to some brilliant design work. Each Sky Suite is an impressive 25.5 inches wide and 74 inches long when reclined into a fully-flat bed. The Sky Suites each feature a partition that allows you some additional privacy from your seatmates. Another added plus in row 5 is that these are bulkhead seats, so you’ll have much more foot space, which I definitely noticed. 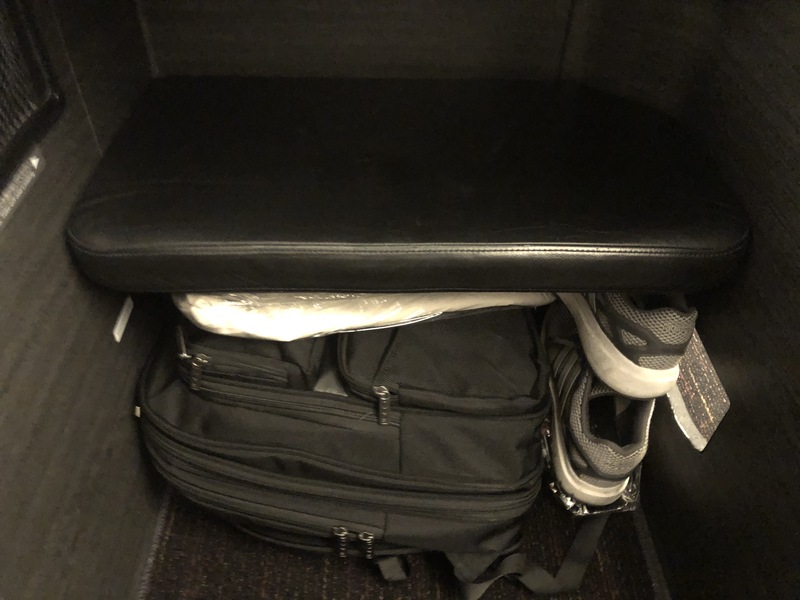 The bulkhead mini-cabin seats in row 5 have tons of foot room and storage space underneath the ottoman. The lavatories were nothing special; the only thing notable was the presence of some refreshing facial mist and lotion. The lavatory doesn’t have a lot of space, but was extremely clean. Shiseido amenities were available for use in the business class lavatory, in addition to toothbrushes and mouthwash. In my opinion, the best part of the lavatory was the bidet. The inflight monitor is 23 inches across, which is huge compared to other business class equivalents. The 23-inch TV is huge. The seat functions were pretty easy to understand. 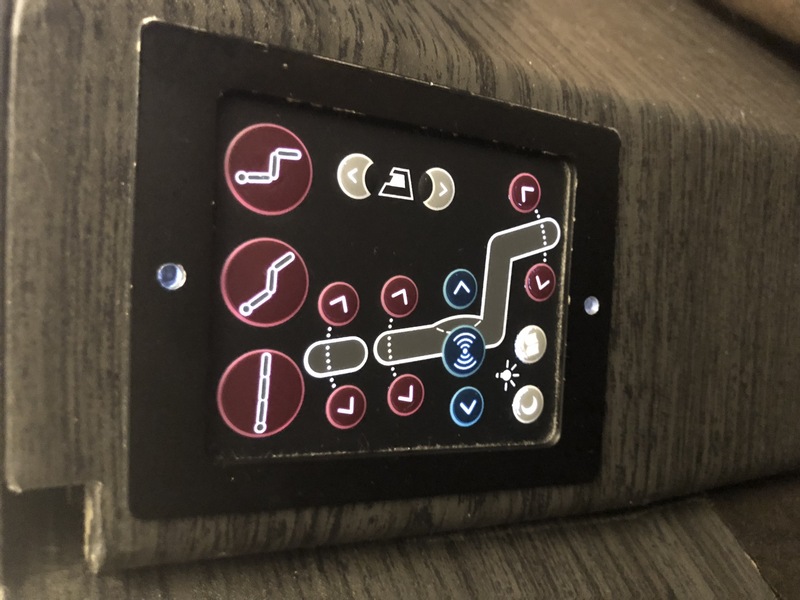 The seat buttons feature an automated privacy partition, massage functions, and reading lights. The massage function is actually quite decent, especially for the lower back. I used it throughout the flight. I really couldn’t get over how huge the inflight screen was! When I was doing some work, I realized that the television from far away looked bigger than my computer close-up. 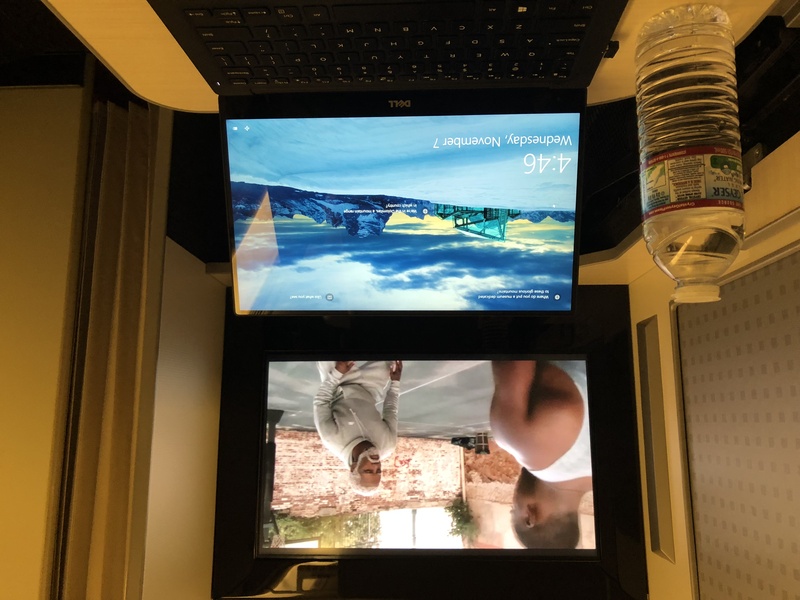 While watching Uncle Drew, I realized that the inflight monitor from several feet away was still bigger than my XPS 13 laptop right in front of me. 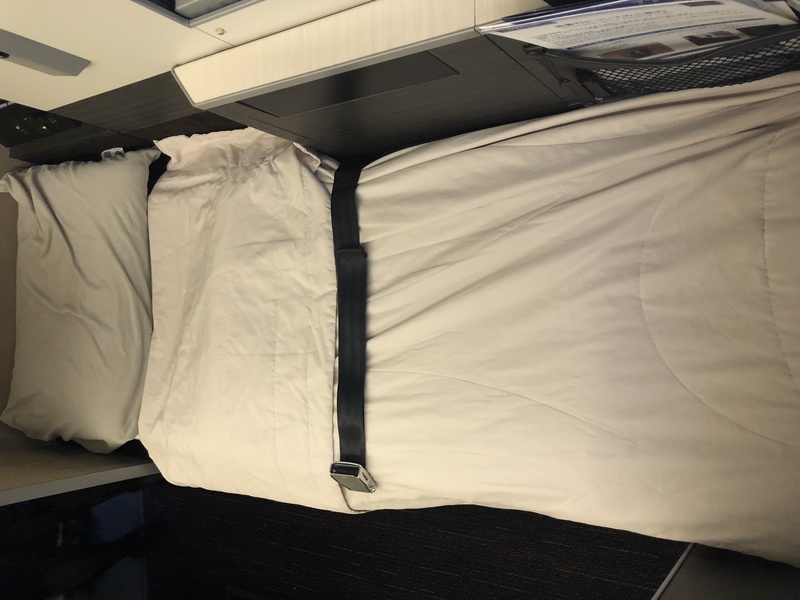 When I wanted to sleep, the flight attendant laid down the Airweave mattress pad, which I found quite comforting and cool. The fully-reclined bed measures 74 inches in length and features an Airweave mattress pad, a pillow, and a cozy comforter. Because the seat turned into a comfortable, almost twin bed, I was able to sleep like a baby for 3-4 hours. The best thing about this flight is that I didn’t have jet lag at all! When I got to my seat, I found an unwrapped pillow, amenity kit, day blanket, headphones, and slippers. 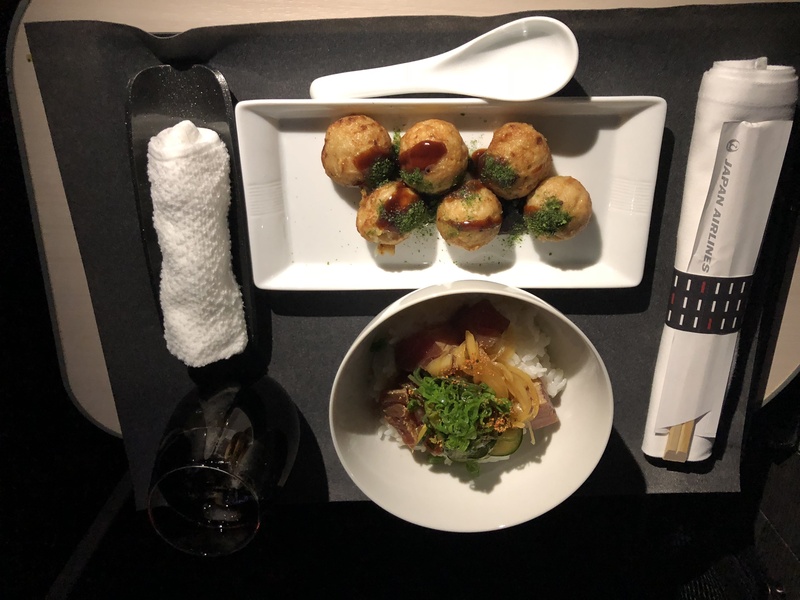 It’s a beautiful sight to see that you’ll be able to enjoy a fully lie-flat bed, excellent food, and amenities in Japan Airlines’ business class aboard the 777-300ER. I quickly unwrapped everything like a kid unwrapping presents. The slippers were comfy, and I actually used them throughout my trip because the hotel slippers paled in comparison. 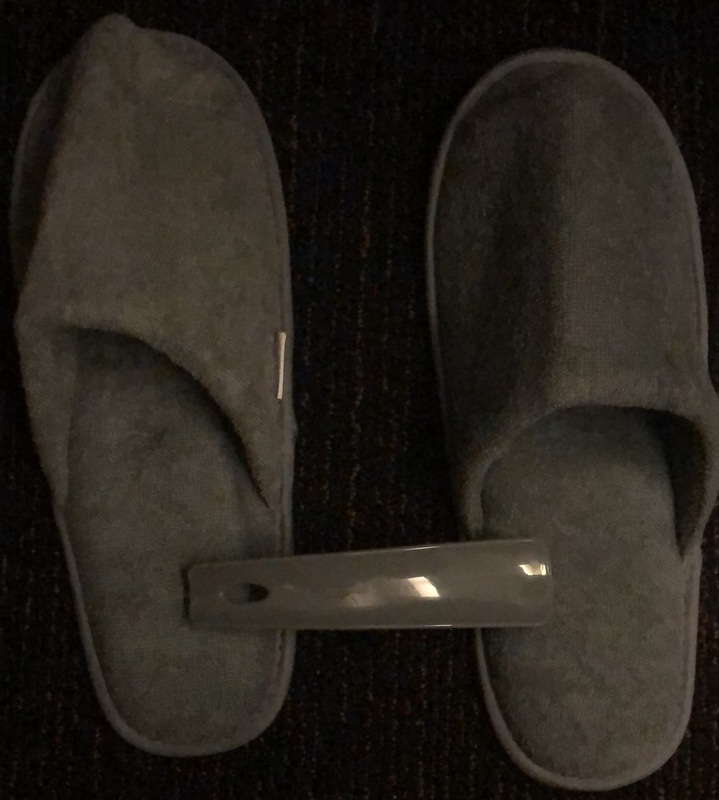 The comfy slippers were accompanied by a shoehorn, which was a nice touch. I opened up the amenity kit, which features Tatsumura, a Japanese textile designer. The all-black amenity kit was sleek, yet reminded me of the skilled workmanship that Japanese are well-known for. The amenity pouch by Tatsumura was great! This kit’s spread was quite generous, though not as generous as EVA Air’s Rimowa amenity kit. I love when amenity kits contain masks. They’re simply so refreshing and useful! 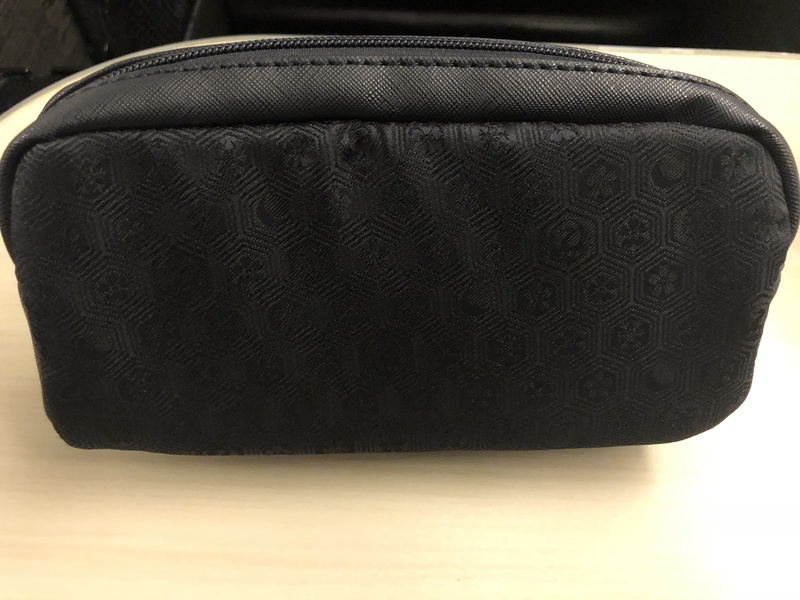 I collect amenity kits as a testament and commitment to flying in business or first class, so it was nice to have a unique amenity kit that showcases Japanese textile work. Here’s where my business class experience really shined. 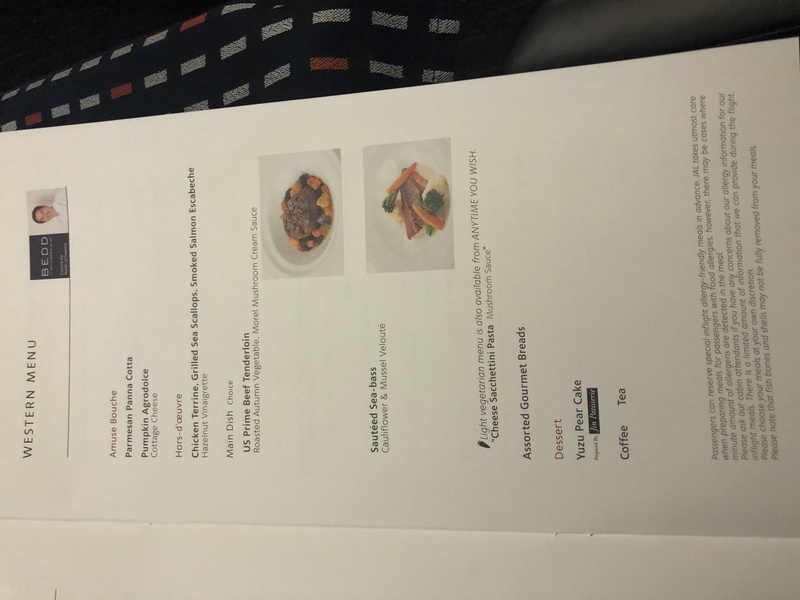 As a huge foodie with over 20 Michelin stars under my belt, I was most looking forward to the food aboard Japan Airlines. 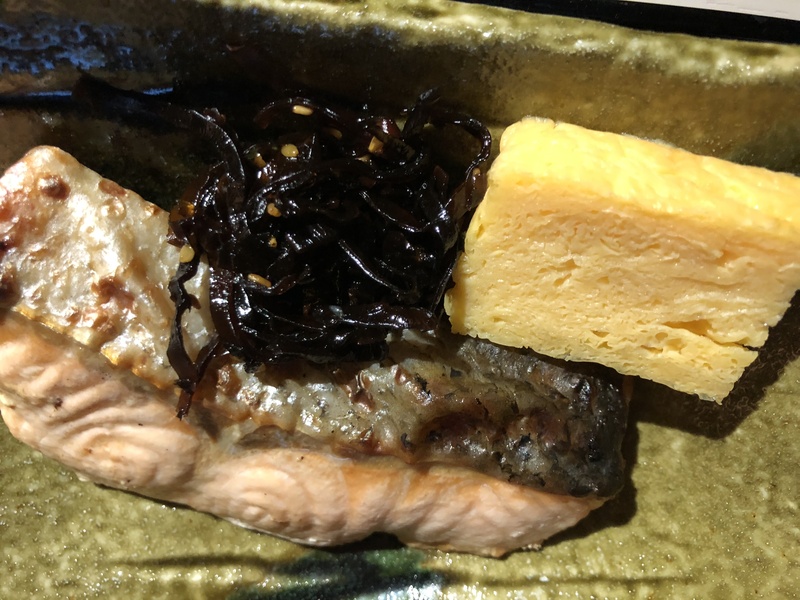 One of the biggest reasons why I visit Japan so often is because of their culinary excellence. 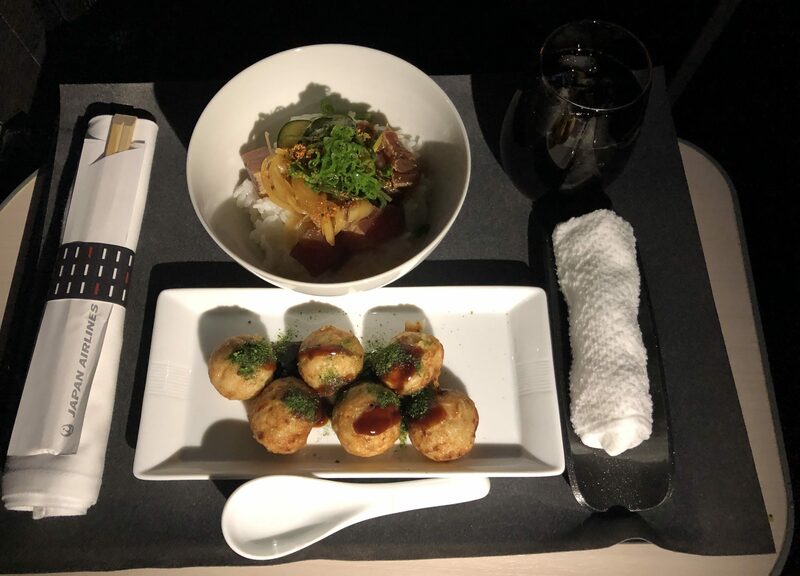 I was enthralled to be trying some of Japan Airlines’ flagship dining — and it didn’t disappoint. Now keep in mind that I’m the type of guy who loves sushi, sashimi, noodles, rice, fish, and everything in between. 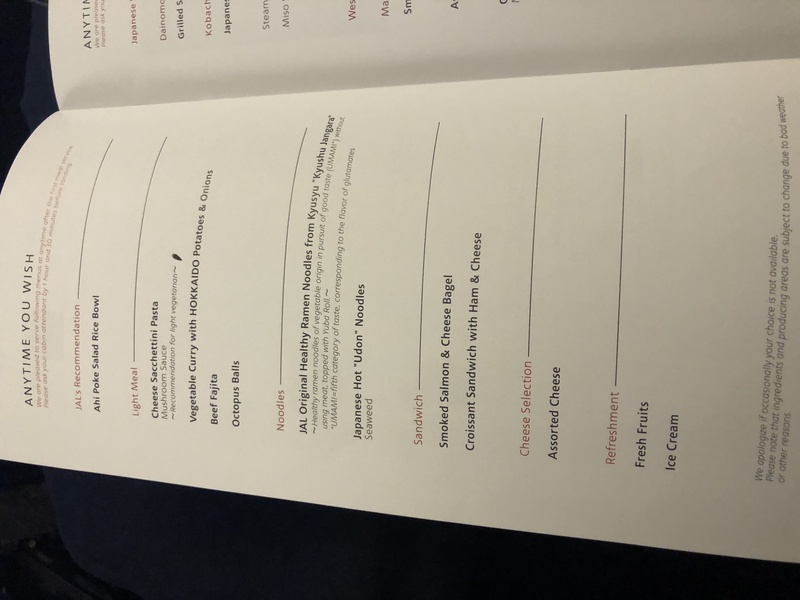 Japan Airlines offers a Japanese menu and a Western menu; I opted for the Japanese one. 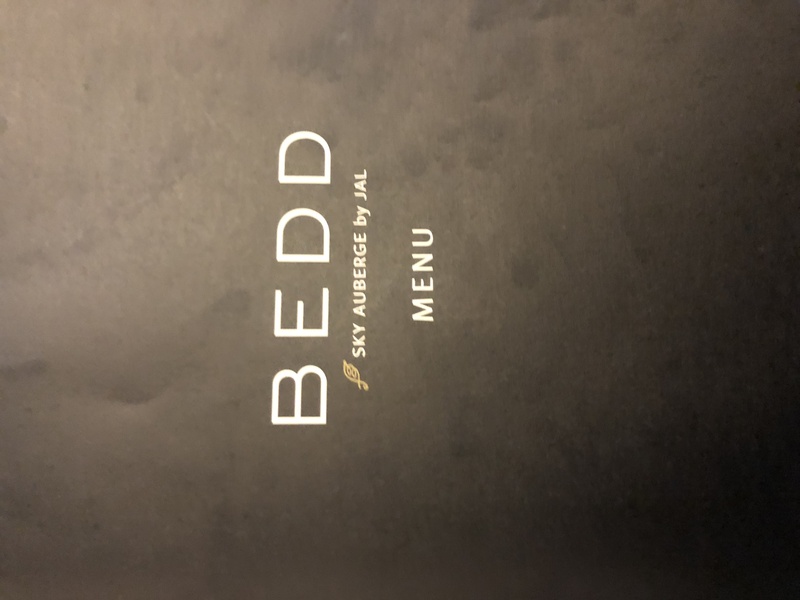 Oddly enough, Japan Airlines’ food and beverage program is called BEDD. Cover page of Japan Airlines 777 business class food and beverage menu. Japan Airlines has a culinary team of 9 chefs who work together to craft the food and drink menus. 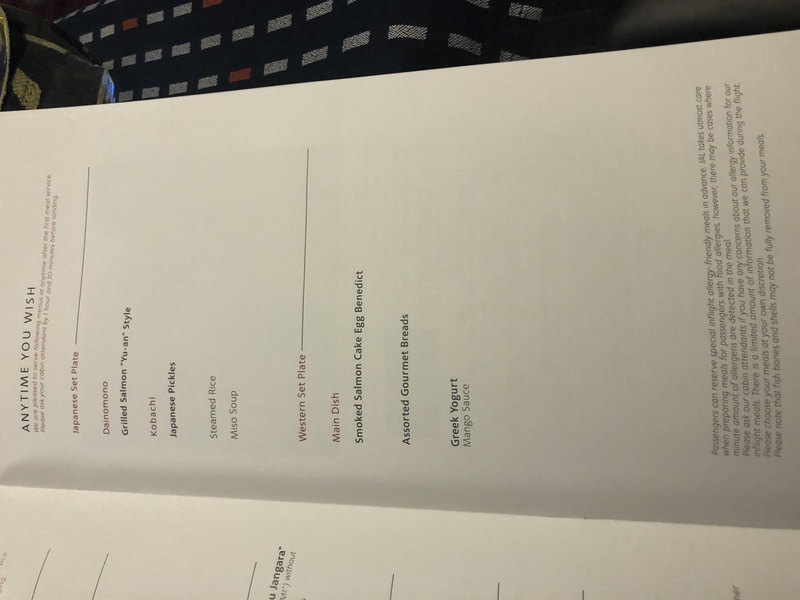 I snapped photos of the beverage menu section, then moved onto the food portion. The selection was great, with a champagne that tastes smooth and pleasant. 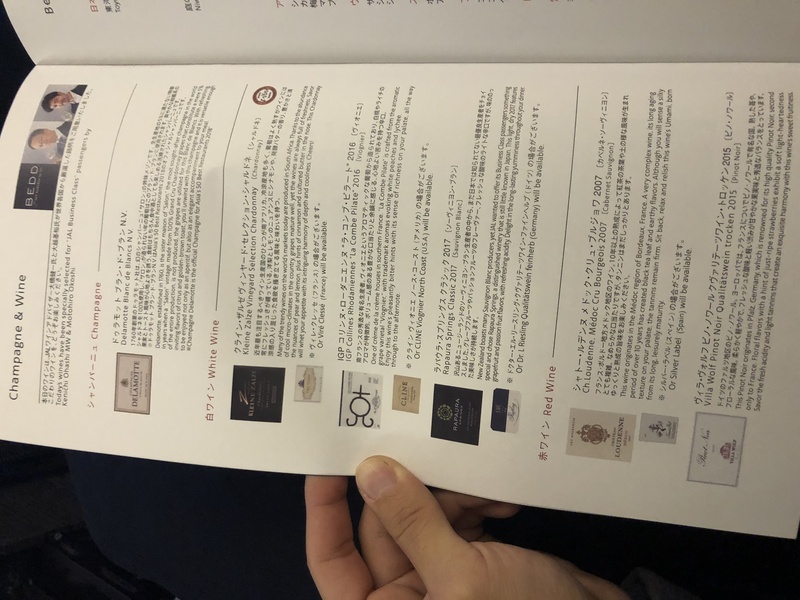 Japan Airlines 777 business class champagne and wine menu. 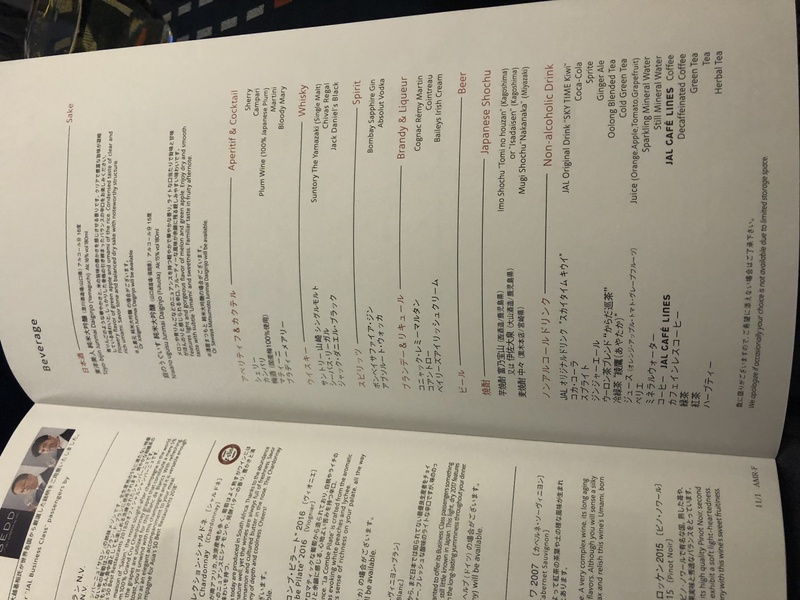 Page 2 of Japan Airlines 777 business class beverage menu. As mentioned above, I chose the Japanese menu. Here’s what the Western menu looked like. 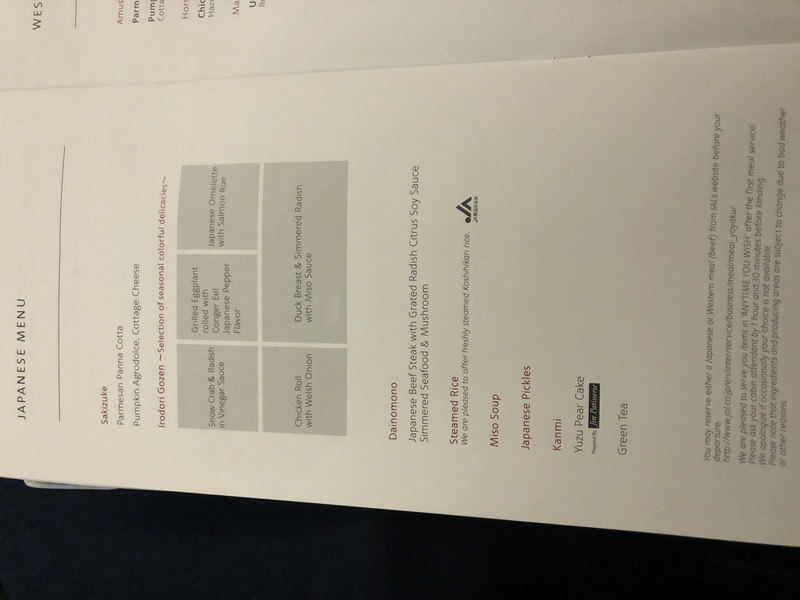 Japan Airlines 777 business class Western cuisine menu. Although the main meal was a set course, you could also order from the “Anytime You Wish” menu, which had equally tasty selections! Anytime You Wish menu page 1. Anytime You Wish menu page 2. 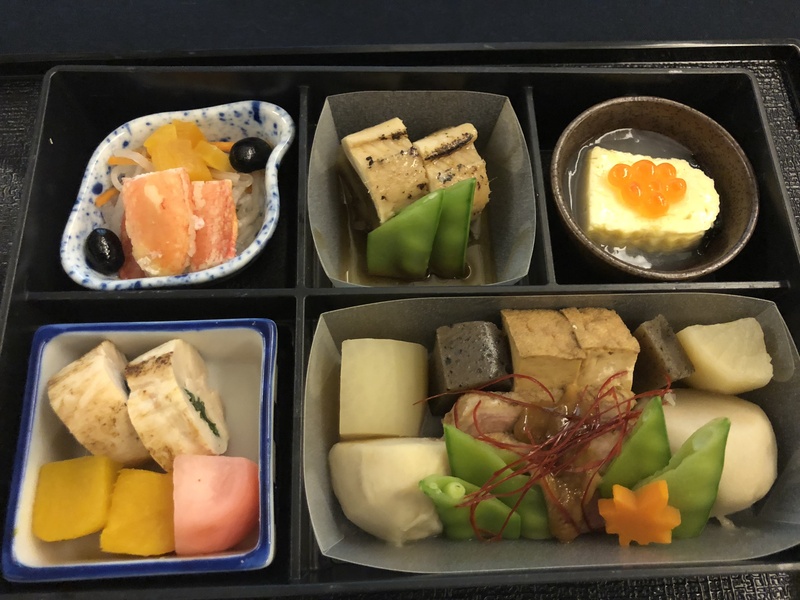 Delicious food in Japan Airlines 777 business class. The next course was Japanese Beef Steak with Grated Radish Citrus Soy Sauce with Simmered Seafood & Mushroom. It was paired with Koshikari steamed rice, miso soup, and Japanese pickles. I enjoyed it with champagne and iced green tea. After the main courses concluded, it was time for dessert! 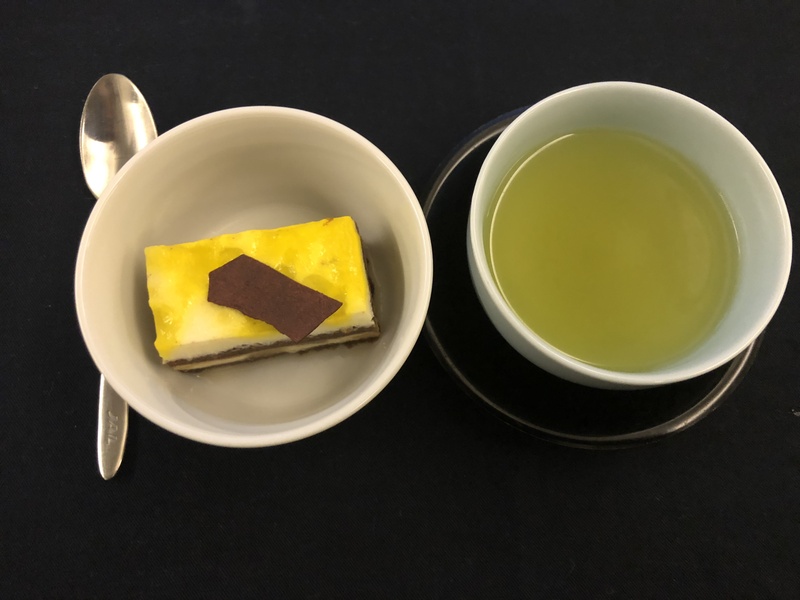 The main dessert was a Yuzu Pear Cake with Japanese green tea. I’m a huge fan of yuzu and pears, so it’s not surprising that I loved the dessert too. Save room for dessert! Especially if you love fruits and cakes! Each of these dishes was phenomenal. 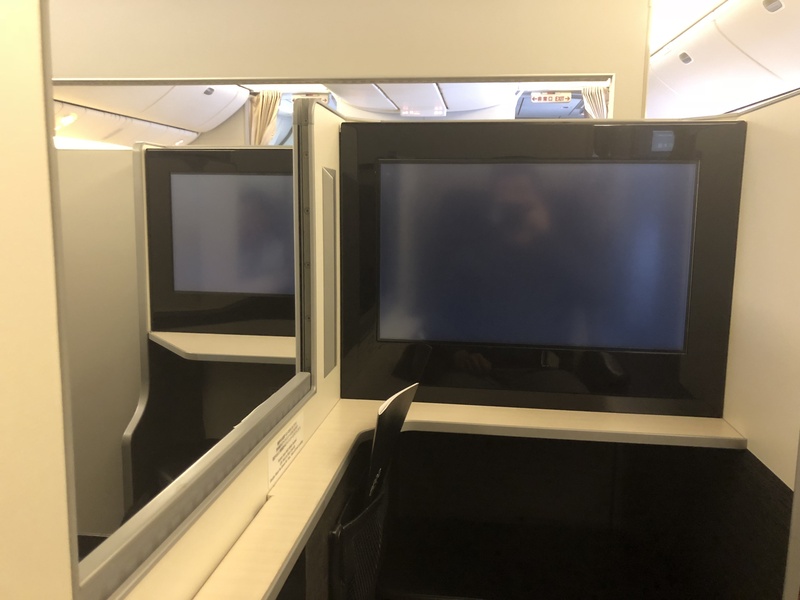 I was just astonished at how much better everything tasted compared to my previous experiences in Singapore Airlines business class, Asiana Airlines business class, and EVA Air business class. That’s not a knock on those airlines — but the food here was simply prepared at a higher level. I also tried a bunch of extra dishes from the a-la-carte “Anytime You Wish” menu. I first ordered the Ahi Tuna Poke Salad bowl and takoyaki (octopus balls). Both of these dishes were excellent. Having a Takoyaki and Ahi Tuna Poke Salad Rice Bowl is a great way to pass time in business class. 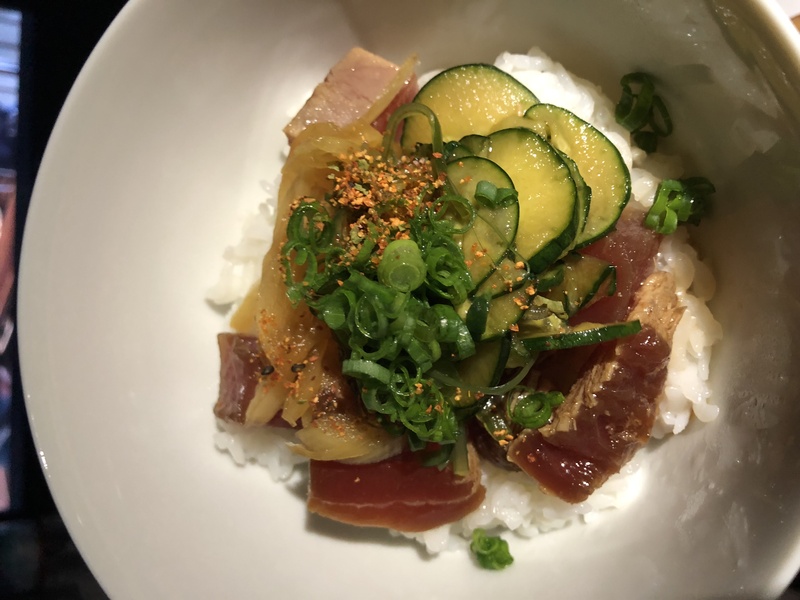 Look at that perfectly seared Ahi Tuna! After watching a few movies, I decided to order some udon, which was delicious. 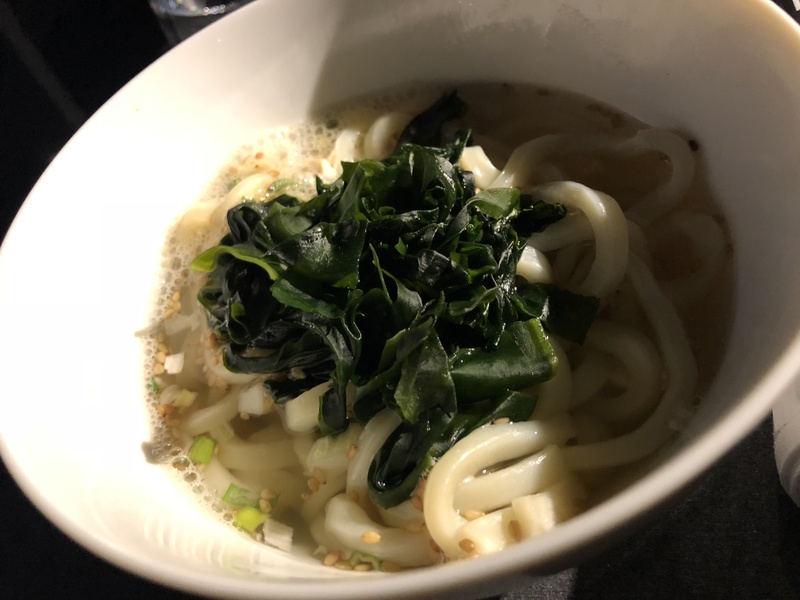 The soup was light and hearty, the aromatic seaweed soaked up the broth flavor, and the udon had a nice chewy texture. My food journey only continued from here. 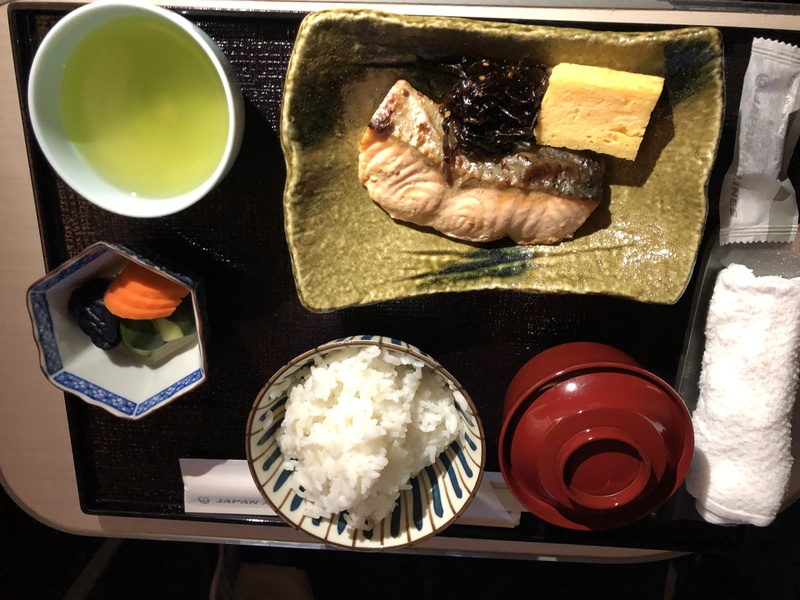 The next snack I ordered was a grilled salmon “Yu-an” style complete with Japanese pickles, rice, and miso soup. This dish was similarly delicious. The grilled salmon was light, flavorful, and scrumptious. A great primer on a trip to Japan is to sample fish prepared by Japan Airlines. Although I was a complete glutton on the plane, I could not have been more satisfied. Every dish was extraordinary and I was definitely well-fed. 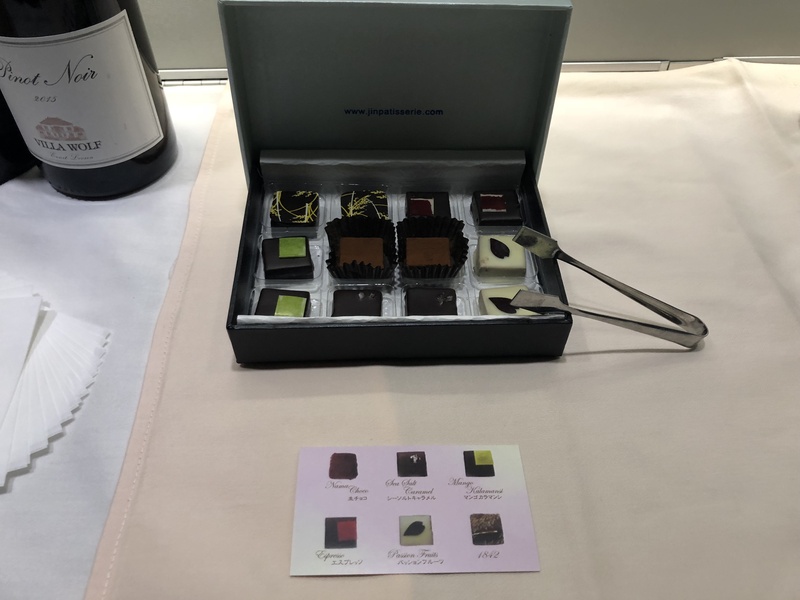 The galley snack bar featured boutique chocolates from Jin Patisserie. I was definitely taken on a culinary journey on this flight that prepared me well for all the amazing food I ate in Japan. Needless to say, I was completely satisfied with the food and drinks offered onboard this flight! Bottom Line: Thankfully, all of my food and beverage expectations were exceeded in Japan Airlines business class. The inflight entertainment was solid. It didn’t have a mind-blowing number of movies and TV shows, but had enough of a variety to keep from getting bored. 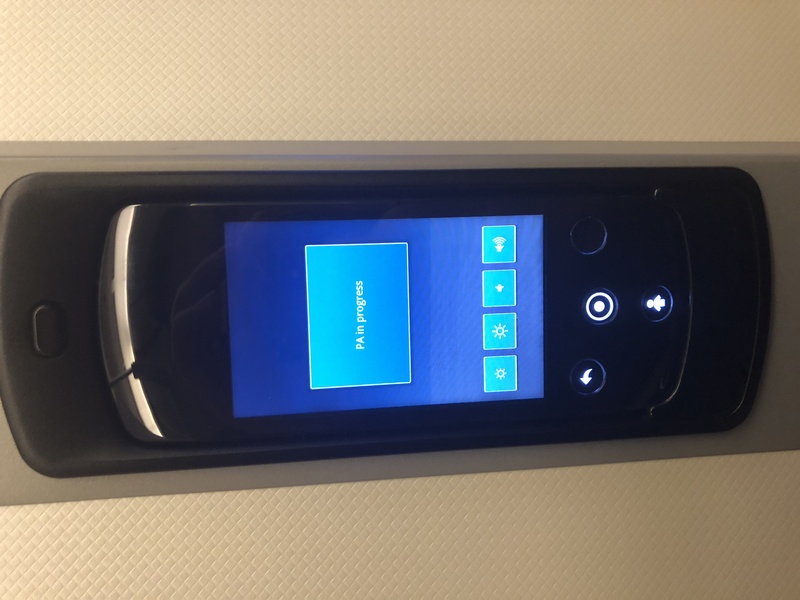 Since it’s right next to your seat, the inflight remote was easily accessible. I found some Hollywood blockbusters like Deadpool 2, Pirates of the Caribbean: Dead Men Tell No Tales, and Ghost in the Shell. You could also enjoy TV shows like The Big Bang Theory and The Marvelous Mrs. Maisel. 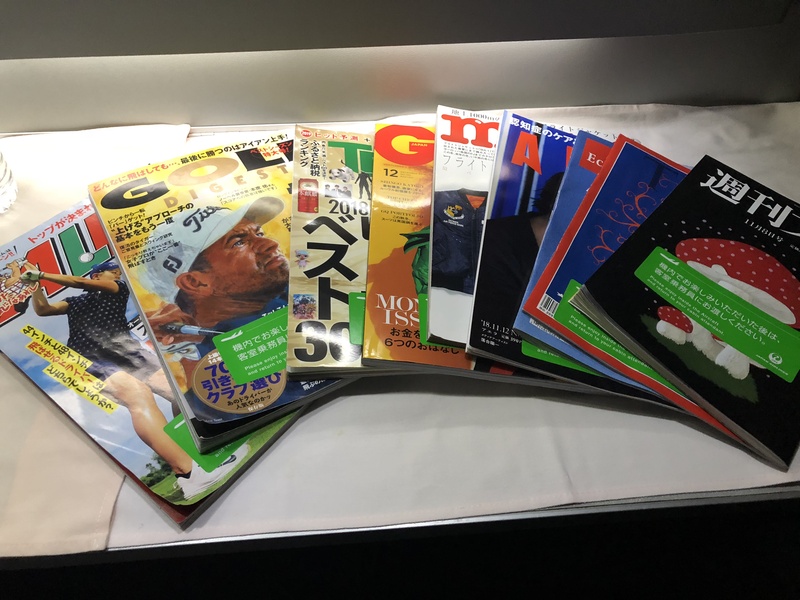 There were tons of magazines in the galley available, but most of them are written in Japanese — so unless you’re fluent, you might want to stick to a local newspaper. Additionally, Japan Airlines offers inflight Wi-Fi complimentary for first class passengers and available for purchase in all other classes. Although I didn’t try the Wi-Fi on this flight, I did have complimentary access when returning back to Los Angeles in first class. Inflight Wi-Fi in Japan Airlines 777 business class costs $18.80 for the entire flight. The Wi-Fi is usable, though not fast enough to watch videos or stream anything — but you can easily message and text. If I had to criticize anything in this experience, it would be the inflight Wi-Fi. Though it wasn’t important for my dad and me traveling for pleasure, it might be important for business travelers to have fast Wi-Fi and stay updated in the sky. 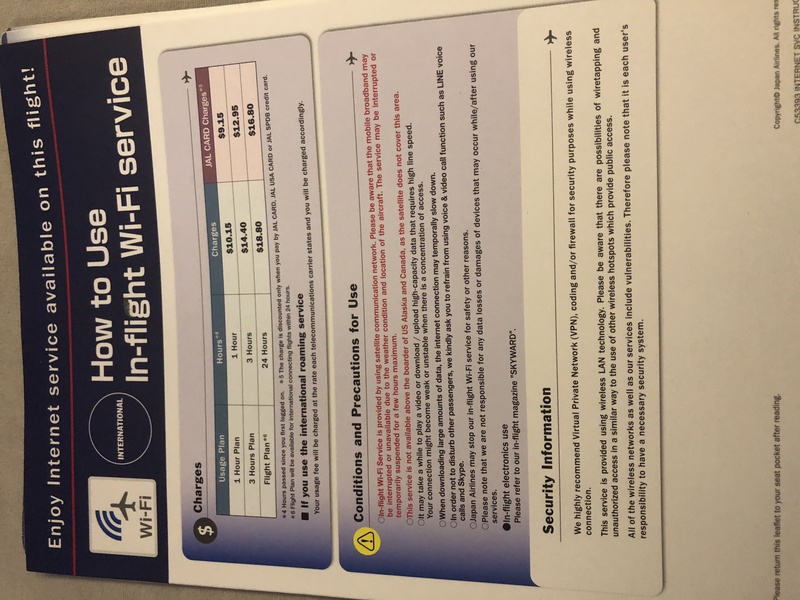 Bottom Line: Though the Wi-Fi could have been improved, I definitely didn’t have any issues staying entertained over the course of the 12-hour flight! What I loved the most about this service was the friendly attitude of all the Japan Airlines staff. From the accommodating seat requests at LAX to the quick response time aboard the flight, there was nothing left to be desired on my flight. Overall, I was sad to see my flight come to an end. I had thoroughly enjoyed the hospitality of Japan Airlines in their flagship 777 business class product! My seat in row 5 was generously wide, with plenty of legroom thanks to the bulkhead seating and plenty of privacy. 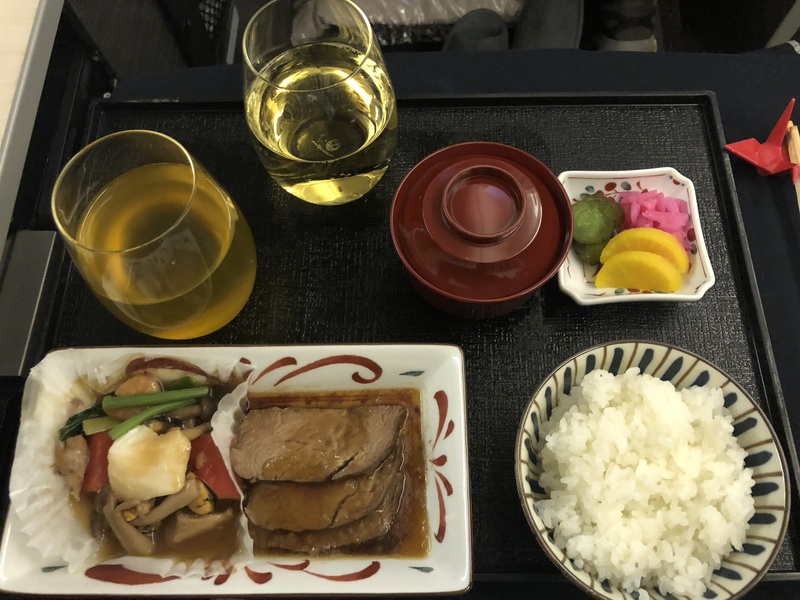 The food and drink program is phenomenal — in my opinion, it’s the shining star of Japan Airlines business class. The amenity kit was sufficient as a souvenir and a much-appreciated gesture. And the beds were super comfortable, allowing me to get quality rest and avoid jet lag upon landing in Japan with my dad. Our inflight entertainment was plentiful, and Wi-Fi was available if I’d wanted it (though I didn’t pay for it this time around). All in all, it was an astoundingly good use of 60,000 American Airlines miles. If I had to do it all over again, I certainly would. Thanks for the amazing experience, Japan Airlines! Now, onto first class!